In 1979 After seeing the world shattering success 20th century Fox had with Star Wars, Paramount studios scrambled to revive the star trek franchise. It seems history is repeating itself yet again as on the heels of Solo the Latest instalment of the Star Wars expanded Universe CBS has contracted Alex Kurtzman to a five-year mission to develop the Star Trek Expanded Universe. The deal reportedly includes “New Series, Mini-series and other content opportunities” that will expand the Star trek Franchise. The agreement also includes rights to produce other content from Kurtzman and his company, Secret Hideout, who currently produce Hawaii 5-0, Salvation and Instinct. This includes expanding secret hideout’s operations to create other original, non-trek, properties. This will include the continuation of “Star Trek: Discovery”, which is currently in production on season two. In a fashion that parallels drummers in spinal tap, Alex Kurtzman is also the latest person to be brought on as show runner for the streaming series. In an announcement sure to cause even more harry Potter/Star trek fan fic (it exists I assure you) Jason Issacs has been announced as Captain Lorca of the USS Discovery. Issacs is known by fans primarily for his portrayal of Lucias Malfoy in the Harry potter films and sci-fi fans from the underrated Event Horizon. 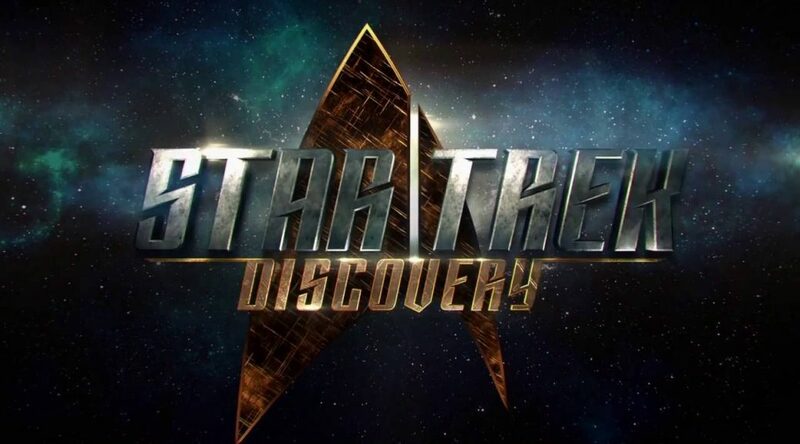 Captain Lorca joins the expanding discovery crew including Sonequa Martin-Green as Lieutenant Commander Rainsford, Doug Jones as lieutenant Saru, Anthony Rapp as science officer Stamets and Mary Wiseman playing cadet Tilly (who we can only hope is not this series Wesley Crusher). Dispite beginning production on the series the crew seem to be missing a few key members most notably a doctor, communications officer or anyone from engeneering. The crew of the starship shenzhou have been anounced headed by Michelle yoah as Capt. Grorgiou, Maulik Pancholy as chief medical officer Nambue and junior officer Connor played by Sam Vartholomeos. While it has not been announced the role the USS Shenzhou will have in the series early speculation is that at some point it will be damaged or destroyed and the crews will combine. 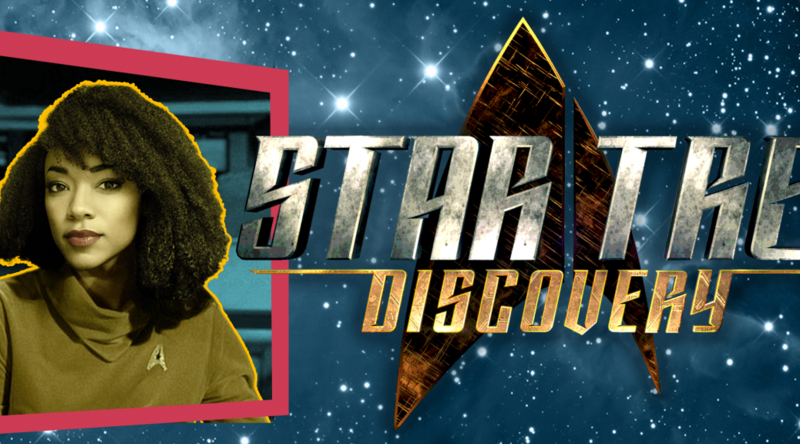 many recognise her as Sasha Williams on The Walking Dead, Sonequa Martin-Green will be taking on a pivotal role on the crew of the starship Discovery. Playing Lieutenant Commander Rainsford who serves as “number one”, a position first established by Majol Berett in the TOS pilot “the menagerie” and later as Captain Picard’s pet name for Commander Riker. We’ve seen six series from the captain’s point of view… To see a character from a [new] perspective on the starship — one who has different dynamic relationships with a captain, with subordinates, it gave us richer context. At first it may seem a bit disconcerting to have a star trek that won’t focus on the captain, however, keep in mind that previous star trek incarnations have ultimately been ensamble shows so this could be an opportunity for a unique perspective. There has never been a star trek series without klingons. this will be no different as three Klingons have also been announced! From the highly anticipated “American Gods” adaptation Chris Obi will portray T’Kuvma and Shazad Latif (Dr Jekyll on Penny Dreadful) will play his protege Commander Kol, the two are apparently trying to unite the Klingon houses (to find out how successful they will be check out he TNG episodes “Sins of the Father” and “Reunion”). Joining them is shakespearean actress Mary Chieffo as Battle Deck Commander L’Rell, at an imposing 6 ft Chieffo will no doubt channel a bit of Klingon antagonists Lursa and B’Etor into her performance. Those of us on the edge of our seats waiting for star trek’s return to the small screen have new reasons to be excited! Star Trek: Discovery casting announcements have started. Set to play Captain Georgiou of the star ship Shenzhou is international star Michelle Yeoh. No stranger to sci-fi, she has been featured domestically in movies such as “Babylon A.D.”, “Mummy: tomb of the Dragon Emperor” and “Sunshine” as well as international hits: “Crouching Tiger, Hidden Dragon”, “Police story3: Supercop” and “The Heroic Trio”. While neither a lead nor a member of the Discovery’s crew, Captain Georgiou will be a recurring character. Broadway star Anthony Rapp, best known for his portrayal of Mark in the musical “Rent” in both original cast and film adaptation has also joined the cast as starship Discovery’s openly gay astromycologist (space fungus expert) Lt. Stamets. Legendary actor and man who brought respectability to the art of Mime, Doug Jones will also be joining the cast. With a credit list that is as diverse as it is extensive, Jones portraying Starfleet officer Lt. Saru (who, to the surprise of no one, is an alien). no official word yet on the involvement of Star trek alumni and horror legend Tony Todd despite his claim on the Mortis podcast that he was on a cast list.